Self-realization happens through an ascent where the personal and ordinary point of consciousness is raised to and unified with the higher spiritual Self. This process shares many similarities with mountaineering. Our subject, Psychological Mountain-Climbing—that is, the exploration and conquest of the superconscious—offers a vast field for research. Two different, and in a certain sense opposite, ways of exploring the superconscious offer themselves. The more usual is the one that may be described as descending. It consists in the inflow, the irruption of higher elements into the field of consciousness. It might be considered a form of vertical telepathy; telepathy, since a considerable “distance” separates the conscious “I” from the Self. These inflows manifest themselves in the form of intuitions, inspirations, creations of genius, and impulses to humanitarian and heroic action. In addition, specifically parapsychological phenomena appear, some of which oblige one to admit that influences and impulses of extra-individual origin arrive through the medium of all three levels of the unconscious. This subject was dealt with in my preceding paper, “TranspersonalInspiration“. The other type of relationship and contact which we can establish with the superconscious is the ascendent. It consists in raising the conscious “I” to higher levels, and with it the area of consciousness, to the point where a zone is penetrated whose location above the ordinary level of our consciousness normally prevents our knowledge of its existence. The diagram below indicates this clearly. The zone in the centre represents the level and normal area of awareness with the conscious “I” in the middle. In the process of the inner ascent this shifts its position by rising to the level of the superconscious. Thus the area of consciousness comes to include the content of the superconscious and to approach more and more closely to the spiritual Self. Analogically, the urge to leave the habitual levels of the psychic life stems from the quest for, or assertion of, superiority—from a desire to develop faculties by means of which to dominate others. The Nietzschian “will to power”, and the hankering after supernormal, magical powers are essentially egotistical motives, even if at times they are masked by pseudo-spiritual expressions. Another motive common to both types of climbing is escape from routine life, i.e., from humdrum reality felt to be wretched, boring and burdensome, or in varying ways unsatisfying. It is a frequently encountered reaction to the limitations and prosaic nature of modern life, particularly as lived in the big cities. A third motive is associated with the fascination exercised by the unknown, the extraordinary and the mysterious, and which has always spurred man towards the conquest, exploration and knowledge of the new, or what lies “beyond”, and lured him on to undergo experiences different from the commonplace. This motive, or impulse, so imperious sometimes as to be irresistible, has been personified by Homer in the figure of Ulysses. The whole of the Odyssey is an elaboration of this theme, whose modern manifestation takes the form of a search for out-of-the-way experiences, and is prepared to employ any and all means for the purpose, including drugs. Many of today’s happenings become comprehensible if this motive is taken into account. A fourth motive is the attraction and fascination of adventure, of overcoming difficulties and risks for their own sake and independently of the results and compensations inherent in an undertaking. Good examples of this motive in action are provided by the number of sailors who in recent years have embarked on long sea-voyages single-handed. It is this same spirit that pervades “academic” mountain-climbing, in which the search for and attempts to follow new and more difficult routes to the summit engage the climber’s interest and skill to the exclusion of the known and less dangerous ones. The association of this motive with the preceding one serves to explain why many young people disregard warnings and the demonstrations of the risks they expose themselves to, still more the prohibitory efforts of others and attempts to impose external restraints. This fact is important because it shows that in the prevention of drug addiction and treatment it is necessary to turn to other methods and appeal to other psychological incentives. We need delude ourselves no further that pointing out the risks they are running suffices to dissuade drug-oriented young people from what they are doing. But this issue, though urgent, is incidental to our subject and cannot be enlarged upon here. There is a fifth, often powerful, motive which must not be confused with those preceding, even if it is frequently to be found associated with them in varying proportions. This is the attraction, or fascination, exerted by what is truly higher, in that it possesses a value of a genuinely spiritual character. From this point of view, mountain-climbing, writes Prof. Carruccio, “is understood as a branch of asceticism… of religious feeling in its various forms, from antiquity to the present day.” In poetic vein, Guido Rey is thinking of a monastery of climbers when he writes in Acrobatic Mountaineering, “The peaks roundabout are altars where they go to perform mysterious rites far from the sight of other men…sometimes terrible.” (page 53). This statement is very significant. It points to the reason for the pronounced attraction and fascination that mountains hold for so many people, and for the sacred character attributed to them by all peoples, as well as for the states of enthusiasm and inner uplift experienced by climbers. As is well known, the Indians believed the peaks of the Himalayas to be the home of the gods, while the Greeks regarded Mount Olympus as the habitation of their divine beings. The eminent Japanese painter, Hokusai, painted more than one hundred times the sacred Fujiyama—the mountain recognized as the temple of the divinity called “The Princess ofthe Blossoming Flower“, an allusion to the rose in bloom. In one of his works Hokusai depicts the summit of Fujiyama sparkling in the sun, while halfway down a storm is breaking. As further evidence of the spiritual milieu associated with high places, we find shrines erected near the summits of mountains; we have also the revelation to Moses on Mt. Sinai, the transfiguration of the Christ on the Mount of Tabor, and His Sermon on theMount. Let us take a closer look at the more exact analogies that exist between the various stages of the external and inner ascents. In both cases the ascent must be preceded by adequate preparation. For the climber, the preparation entails physical training on the flat, in order to strengthen the muscles. It would be folly to attempt an arduous climb as long as walking and physical exertions on level ground are still fatiguing. Before commencing an ascent one must have built up one’s muscular stamina. However obvious it may be in its particular field, this need for preparation is neither recognized nor catered for in psycho-spiritual climbing, an enterprise usually attempted without any previous self-training. 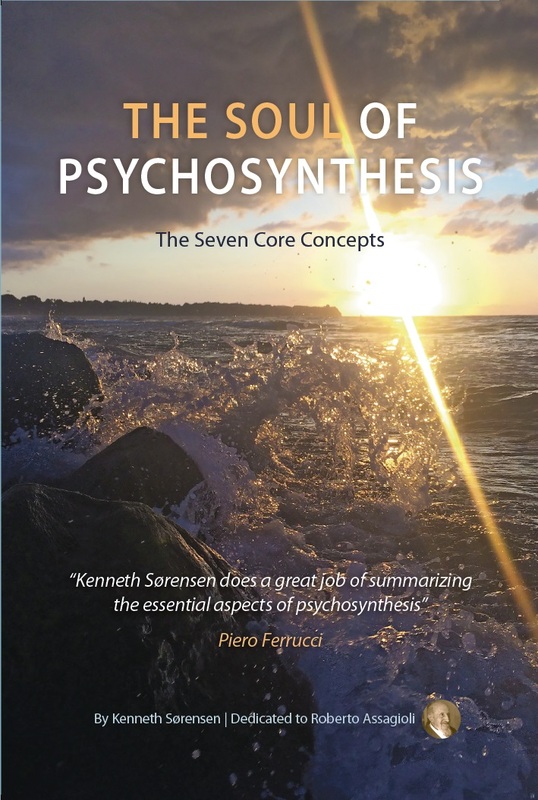 In psychosynthesis we always insist upon an adequate personal psychosynthesis—i.e., the control and utilization of man’s normal energies and functions, before the development of higher energies is undertaken, or the attempt made to ascend and explore the superconscious. Where this is neglected, psychic imbalance, often of a serious nature, may result. But such physical preparation in the one case and harnessing of the psychic energies in the other are not sufficient. A further pre-requisite is a knowledge, theoretical at least, of the region into which it is proposed to venture. Except in the case of peaks yet unsealed, mountains have been mapped and relevant knowledge and information assembled from the descriptions of those who have climbed them. In the psychological field, the analogous knowledge is that about the superconscious made available by the writings of those who have had experience of these higher levels. Even more valuable are personal relations with someone who has himself explored these heights. In this category are the genuine spiritual teachers: the false claims of many to be spiritual teachers necessitate the emphasis on the word genuine. Thus doubly prepared, we can now tackle the ascent itself. Being an ascent and not a flight, it has a number of stages and halting-places. There exist two very instructive and illuminating descriptions of this gradual ascent; one is that of Dante’s ascent of the Mount of Purgatory, the subject of the second part of The Divine Comedy. Studied from a psychosynthetic and anagogic point of view, it is even today a source of much relevant instruction, since the obstacles and difficulties to be overcome are largely the same in both cases. The other is the Ascent of Mount Carmel, described by St. John of the Cross. 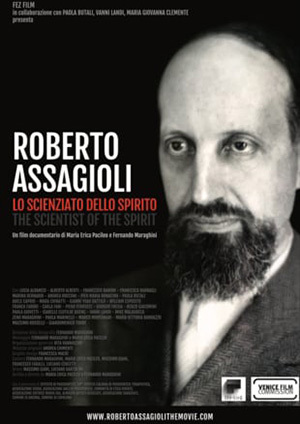 Despite its specifically ascetic and mystical character, it contains real treasures of psychological knowledge and some direction which, expressed in modern language and abstracted from its period frame, could prove very instructive. For example: St. John gives a detailed account of the states of aridity and frigidity, including that of “the dark night of the soul”, which follows the first joyous experiences, with their warmth and richness of feeling. These periods of suffering have their correspondence in the icy conditions and thick mist encountered by the climber at a certain stage of the ascent before he reaches the sunlit summit. Various psychotherapeutic methods have made use of the symbolism of mountain and ascent. Carl Happich, a professor of clinical medicine at Darmstadt active in the use of psychotherapy, introduced three symbolic situations which he called Meditation on the Meadow, Meditation on the Mountain and Meditation on the Chapel. The diagram shows an external centre which can act as a mirror of the spiritual Self. Sometimes, indeed, it is easier to catch a reflection of the spiritual Self when mirrored in an external centre than by direct ascent thereto. The latter may be constituted by the therapist himself, in the role of ideal model; also by a symbol such as that of a mountain. There are various categories of symbols and a number of anagogic symbols of ascent available for use. Psychosynthesis makes use of some exercises of this kind, one of them being that of the Mount of Purgatory already mentioned. The Divine Comedy can be regarded as the poem of psychosynthesis, whose three principal stages it describes: first, the descent into the Inferno, which represents the psychoanalytic phase of the descent into the abyss of the lower unconscious; then the ascent to Purgatory, picturing the inner ascent; and finally, the ascension to Paradise, which stands for the increasingly lofty stages of spiritual realization. Another group of symbols is employed in the exercise of the Legend of the Grail. 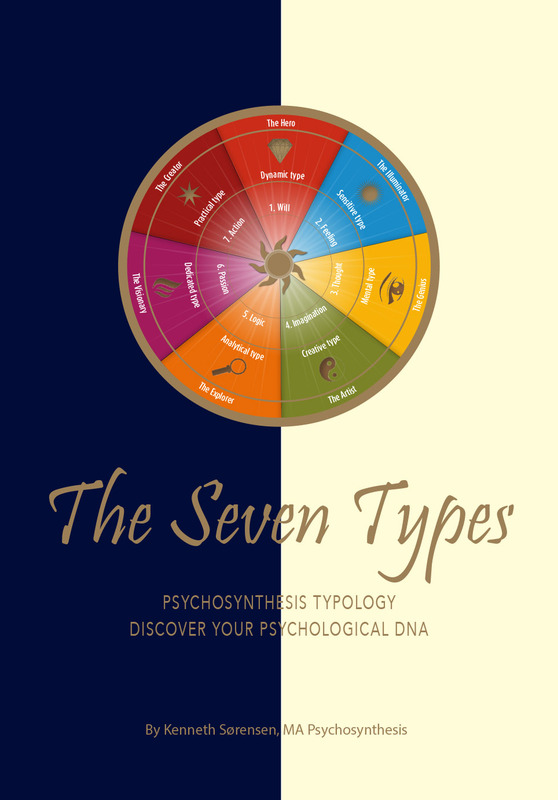 This is described in my book, Psychosynthesis: A Manual of Principles and Techniques. These symbols are not only therapeutically effective; they are no less competent, if not more so, in conquering the luminous heights of the superconscious and there discovering its marvels and utilizing its treasures. Just as there are various routes up a mountain, so there are various “inner routes” suited to different temperaments, to different psychological types, leading to the peaks of the superconscious and coming into contact with the spiritual Self. There is the mystical way, the way of love, the aesthetic way as expressed by Plato in his famous scale of beauty, the meditative way, etc. It is the last, the meditative way, that is more directly associated with the field of psychosynthesis, and for this reason, the remainder of this discussion will be limited to it. The first phase, which in a sense corresponds to the preparation mentioned above, is one of recollection, of concentration from the periphery to the centre; that is to say, the liberation of the field of consciousness from its ordinary contents by means of disidentification. Our consciousness is generally dispersed at various points in the field of consciousness, meanwhile continually receiving messages, or “information” as the language of cybernetics customarily has it, from different levels of the unconscious and from the external world. 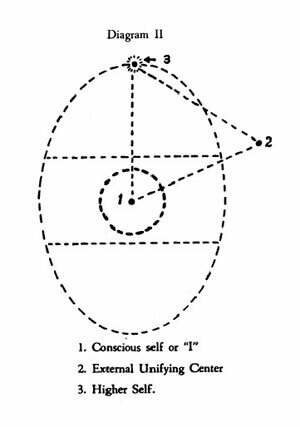 Thus the first thing to be done is to “re-enter into oneself”, i.e., to withdraw the consciousness into the conscious “I” in the centre of the field of consciousness (see Diagram I). Silence must be observed; not only external, but also inner silence. In this connection, here is a penetrating reply given by a Teacher to one of his disciples who said: “I close my eyes and am blind to the external world, I close my ears to every word and noise, and yet I achieve no realisation.” Said the Teacher, “Try also to keep your mouth closed and maintain silence, inner as well as external.” In fact, if we are observant, we become aware that something within us is constantly speaking: our sub-personalities with their incessant chatter, or our unconscious with its ceaseless inner clamor. Thus external silence is not sufficient in itself, whereas recollection can he acquired even in the midst of external noise. The second phase is that of true meditation—meditation, that is, upon an idea formulated from a phrase or elaborated from a single word. 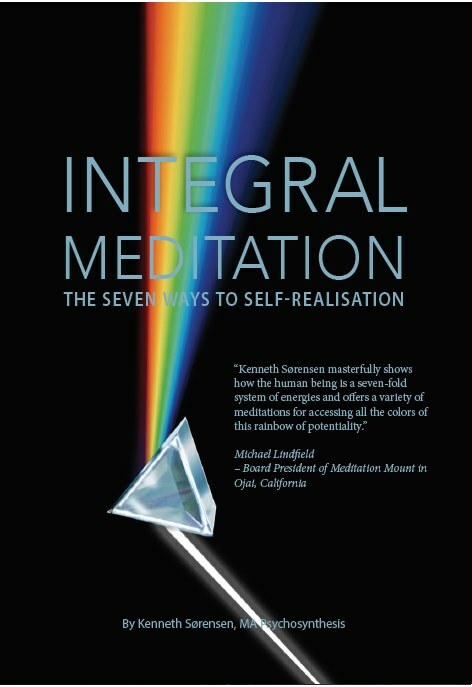 Its first stage is intellectual reflection, but this is followed by something deeper and more vital, which is a state of perceiving, of consciously realising, the quality, the meaning, the function, the value of what is being meditated upon, so that it is felt to be almost living and acting within. In place of words one can use images and symbols, adopted from the external world or inwardly visualised. Higher still is the stage of contemplation, the nature of which it is well nigh impossible to describe in words. One can but hint at so intimate a state of identification with what is contemplated that all sense of duality disappears. It is a state wherein subject and object become fused in a living unity. In the absence of any formulated idea, therefore, contemplation ensues as a state of perfect calm and inner silence, a “subsisting” in the pure consciousness of being. 1. A perception of light, an illumination , both in a general sense and as light on problems and situations which are thereby rendered comprehensible and whose significance is revealed. 2. A feeling of peace, a peace independent of any external circumstance or inner state. 4. A feeling of harmony and beauty. 5. A feeling of power, of the power of the spirit. 6. A sense of magnitude, of boundlessness, of universality, of the eternal. Naturally, there can be no permanence in such a lofty contemplative experience; but even in departure it leaves behind effects and changes, often profound, in the ordinary personality. Among other things, it fosters a gradual stabilization of the centre of personal consciousness and little by little raises the area of normal consciousness to higher levels. It can succeed in almost reaching the line of demarcation (not of division but of distinction) between the middle unconscious and the superconscious in such a way that the waking consciousness stays always illuminated in some degree. This, then, facilitates the other method, i.e., the descent of intuitions and inspirations, and makes their occurrence more frequent. The culmination, the symbolic arrival at the summit of the mountain, is the union of the centre of personal consciousness with the spiritual Self. It is to be noted that the “star” in Diagram I representing the spiritual Self is traced partly within and partly outside the oval. This indicates that the Self, partaking of both individuality and universality, is in contact with the transcendent Reality. Another result of this experience takes the form of inspired action. A powerful impulse is felt to give liberal expression to the treasures discovered and won, to radiate them and make others participants in them; then to collaborate with all men of goodwill, with all who have enjoyed similar experiences, in dispersing the darkness of ignorance which envelops humanity, in eliminating the conflicts which harass it, in preparing the advent of a new civilisation in which men, happy and like-minded, actualise the wonderful latent potentialities with which they are gifted.